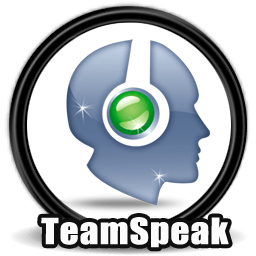 TeamSpeak 3 is not merely an extension of its predecessors but rather a complete rewrite in C++ of its proprietary protocol and core technology. With over nine years of experience and leadership in the VoIP sector, our engineers have created a flexible, powerful, and scalable solution granting you the ability to customize and tailor your voice communication needs any way you desire. New users and TeamSpeak veterans alike will now enjoy a completely new experience in voice communication using TeamSpeak 3's unmatched functionality and powerful new features. bindinglist command now has a new parameter "subsystem"
file transfer now only accepts connections from ip addresses that have started an upload / download. There is a reserve of 20 slots that are allowed to connect even though that particular ip address did not start an upload/download. This is to support exotic client routing configurations like tcp load balancers. binding voice to the any address (0.0.0.0 / 0::0), which is the default behaviour of the server, now supports clients connecting to all addresses instead of just the default ip of the network interface. sqlite db now uses WAL as journal mode ! the new file transfer routines on unix systems now depend on async io (aio*) routines. For freebsd this probably means you need to load the aio kernel module using 'kldload aio' ! for server query users: ftinitupload/download replies may now omit the ip parameter. If it is omitted, it means the transfer should be started on the same ip that was currently used by the server query ip. ! for ftinitupload/download there is now an optional "proto" parameter. See the server query manual for more info.